Why a double LP? Was this something you had in mind before starting to compose this record? No, ha, ha! I had no idea when I started this project that it would end up being a double LP and I think if you’d’ve mentioned that to me when I began work on it in 2013 I might’ve been a bit appalled by the idea. However, in retrospect, I think it works really well… and the fact that there are exactly five songs per side [even though, again, this wasn’t planned] appeals to ‘symmetrophile’ in me… although I think love of symmetry’s probably also linked to obsessive compulsive disorder or something! How important is the visual framework designed for the songs in this musical concept? Very important. My plan for Going, Going… was to combine the words, music and films in some kind of mutually beneficial way. I enjoy the way that when you watch the footage you start to see links between the movement in the films and the rhythm of the music. Did you already have a film-idea when you were working on these songs? It looks as if you wanted to come back to the cinematic sound of Cinerama, but with a final statement for this particular concept. Is this the case? Yes, the film project ran alongside the song-writing and each informed the other. I wouldn’t describe the films as being particularly cinematic, though… because they don’t have a narrative… I like to think of them more as moving photographs. I’ve still to write a proper soundtrack for cinema! Is there a conceptual preconception behind these 20 songs? Yes… the songs are loosely based on a road trip across the U.S.A., from Maine to California, and each of the titles is a location on that journey. The route goes through twenty states, hence the twenty pieces of music… and we filmed in each of the states, too. The lyrics are also interconnected in that, together, they tell a story. How much time did you spend creating the final form for these songs? How much time did you spend in the studio? It appears to be more difficult than for your other albums. Why is there such a severe break with the sound from your last albums? Were you trying to prove something to yourself? 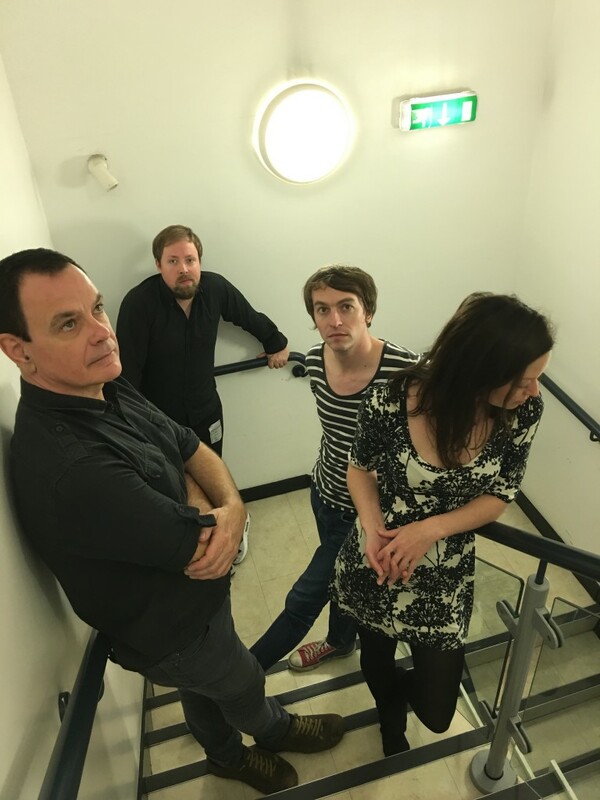 It’s always been The Wedding Present’s intention that each of our albums sounds different to each other and I don’t think Going, Going… is particularly unusual in that respect. All of our albums have their own style and mood… Seamonsters and Watusi sound like completely different bands, for example. I’ve no issue with musicians who consistently make the same record again and again… let’s be honest, it’s actually the best route to a kind of commercial success that I’ve not enjoyed… but it’s not the Wedding Present way. More than in another of your albums, this album shows a great contrast between different kind of songs, i.e. “Kittery”, “Little Silver”, “Secretary”. In a way, this album seems to present sounds from a great Wedding Present body at its various periods of your development. Throughout Going, Going… I wanted to reference, albeit subtly, previous Cinerama and Wedding Present songs both musically and lyrically. It’s kind of a greatest hits without them being hits! The post-metal sound in the “Fifty-Six” intro and the atmospheric rock of “Marblehead”. 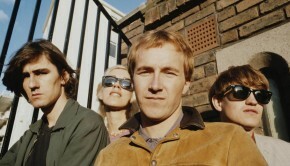 Regardless of which you choose, the pop spirit here emerges as something natural. What’s the secret to get this formula in everything you do? I’m probably a bigger fan of pop music than people realise. I like pop music as much as rock music, even though The Wedding Present is a rock band. I like Abba! And I don’t really like rock music which is devoid of a pop sensibility. I think rock bands often come up with great guitar riffs and great sounds but forget about the actual ‘song’. Precisely in “Fifty-Six”, apart of the post-metal intro, there’s a string section in the second part of the song. Since Cinerama, once can habitually hear such digression between the electric and acoustic. But in your new album, you take this idea further. It is your goal to contrast, ostensibly opposed kinds of sounds? My goal is just to arrange each song I’ve written in a way that best enhances that song and I feel that the use of strings can often do that. They’re just an extra tool in the armoury, really… alongside many other instruments. I did use them more extensively in Cinerama but I was going for a different sound on those records. At the same time, “Going, Going…” is your more poppier, atmospheric and aggressive album. Where do you find the meridian for all these extremes? 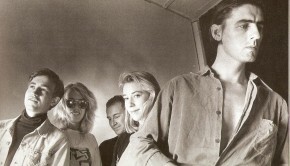 The songs were written and arranged to compliment each other in quite a systematic way. If I felt that certain songs were too poppy, it would influence me to look for a more aggressive sound on other songs. Likewise with the atmospheric tracks… I really love the sound of those but I didn’t want the entire record to be like that. You always said that you love the single format, like in the sixties. And in “Going, Going…” there are too many candidates. “Two Bridges”, “Bear”, “Kill Devil Hills”. It’s like you have integrated two radical different concepts: an album like a great collection of songs, and songs that benefit the major album concept. Did you have this duality in mind when you started? I think I always have that duality in mind. Especially on Going, Going… I had the goal of making this ‘statement’ album but, again, I think each track has to stand up for itself. With the exception of those four opening instrumentals and maybe a couple of others I approached each song with the idea that it needs to sound like it could be a single. Again, that probably comes down to my love of pop music. The first block of the record is entirely instrumental. Rather than an introduction, it sounds like the end of the record, and the next songs like the preview to these tracks. Can you comment on that? 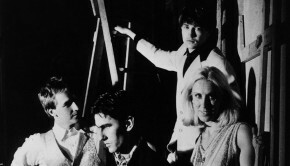 By extension, it looks possible that the record was conceived to be played from start to finish onstage. Was that the case? You could say that about any of our records, I think! 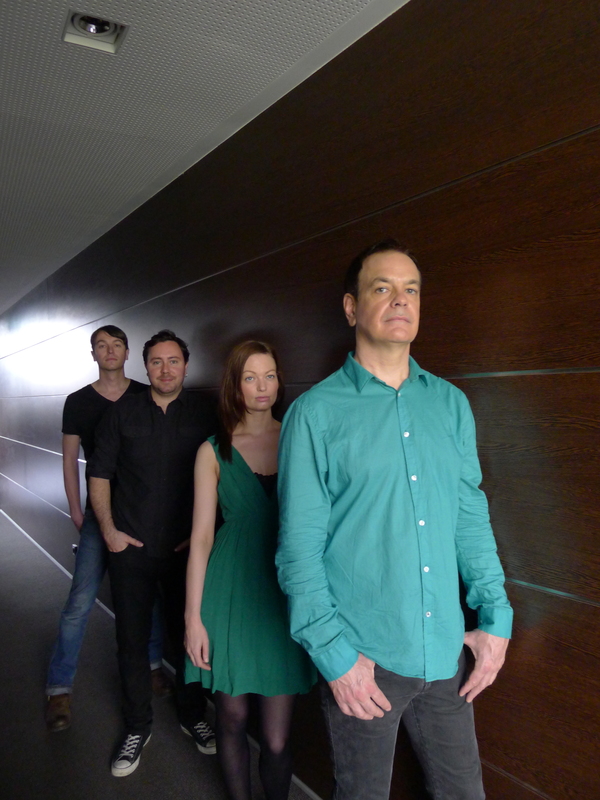 Wedding Present albums are essentially well-recorded versions of the band playing live. We have actually performed a few of our albums live over the last few years and they work well as live sets. The record’s production has the peculiar drum sound and robust bass sound of Steve Albini production. What did you learn from him when making records like “Seamonsters”? The way Albini works is to record the band playing together in a room. It’s as simple as that, really. The Beatles recorded entire albums in a weekend like that and that’s the way The Wedding Present started doing it. However, with George Best and Bizarro we were persuaded that the recordings should be made up layer by layer… each person recording their part as an overdub, essentially. But as long as the band is well rehearsed and all their instruments, amplifiers and pedals sound good… and the engineer is technically accomplished, of course… the ‘recording the musicians playing together’ method provides better results… for a band like The Wedding Present, anyway. Albini reminded us of that. The exact two records I recall when I hear this album are “Seamonsters” and “Bizarro”. Too many people still believe these to be your most compelling albums. What is your perception of these records after so many years? Did you have these in mind when you made this album? 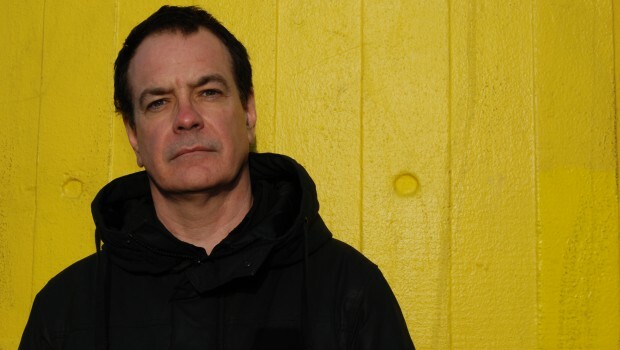 I’m surprised that you’ve honed in on those two specifically because, as I say, I feel like I’ve referenced my entire back catalogue for this release… but I’m wondering if those are perhaps the two Wedding Present albums that you know the best? They both stand up well to scrutiny after all these years, I think… but then I’m happy with all the albums, really. The only one that I don’t think has stood the test of time is George Best… although I love playing the songs from that one live. Obviously the main difference is the technology, which, as you correctly say, has led to this saturation. It’s great that I can fire up my phone and listen to any band I want to… within seconds… but, yes, it’s sometimes harder for individual releases to attract attention. 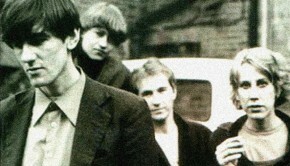 But then The Wedding Present have never really fought for that attention anyway! We’ve always just done what we’ve wanted to do. We do occasionally end up on ‘best of’ lists but I’m confident that when we’ve done so it’s on merit not because I’ve paid some marketing professional a ton of money to get us on there!